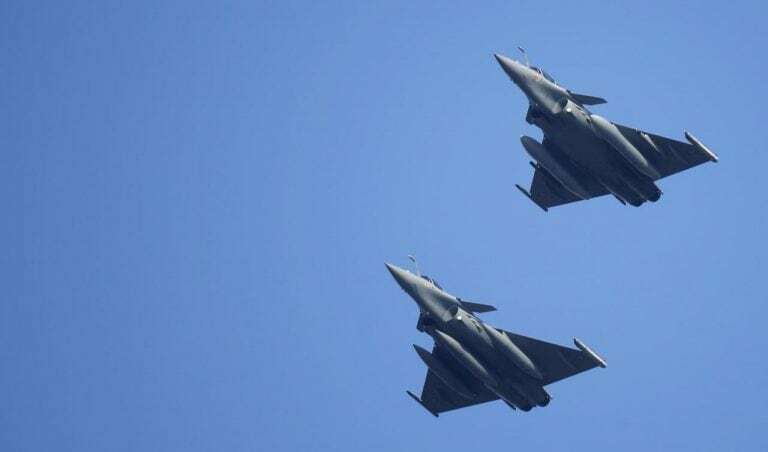 The report gives much relief to the Narendra Modi government, which has been facing fervent attacks by the Congress and other opposition parties over the fighter jet deal. The centre has repeatedly denied allegations by the opposition parties in the Rafale issue inside and outside the Parliament. Follow our Parliament live blog on CAG's report for more updates. On Delivery Schedule: The CAG report said there was an improvement of one month in the delivery schedule of the 2016 contract versus 2007. The Indian Negotiating Team (INT) had apprehensions about the achievements of even this delivery schedule. The contracted schedule for 36 Rafale jets was 71 months late as compared to the 72 months delay in 2007 during the UPA rule. On Cost Of Procurement: The report added the basic flyaway aircraft was bought at the same price as the 2007 UPA aircraft. Background: The offer of 2007 had two distinct packages – 18 flyaway aircraft package and pricing for transfer of technology (ToT) package of 108 aircraft to be produced in India. The offers made in 2015 was only for 36 flyaway fighter aircrafts. For comparing the prices of 2007 and 2015, the scope of both offers had to be brought at par. Findings: Overall the 2015 deal price was 2.86 percent cheaper than the 2007 price, the CAG report said, adding that the offer made on the missile procurement implied a cost saving of 17.08 percent. The vendor charged an excess of 6.54 percent more in the area of engineering support package (ESP) and in the area of performance based logistics. The vendor also charged 2.68 percent more in the area of training and 1.05 percent less in the area of weapon package. On India Specific Enhancements: During the negotiations of 2015 for 36 aircraft, the defence ministry rejected INT’s proposal to reduce the number of India specific enhancements by six. Four of the India specific enhancements (14 percent of the total cost of enhancements) were found to be unnecessary by technical and staff evaluations, the report added. On Bank Guarantee: The offer made in 2007 had included 15 percent bank guarantee against advance payments. In the 2015 offer, there were no financial and performance bank guarantees. The French government and vendor provided a Letter of Comfort signed by the French Prime Minister despite the law ministry advising that a government or a sovereign guarantee be procured, the report added. The savings made on the ‘No Bank Guarantee’ went to the vendor and not to the Indian government, the report added. The total savings accruing to the vendor by not having to provide guarantee was to be passed on to the government. The audit found that this was actually saving for the vendor when compared with its previous 2007 offer. On Price Comparison: "Comparison of prices under 2007 and 2015 offers has posed its own difficulties because the package it offered in 2007 included the price of license production of 108 aircraft in India while the 2015 offer included only direct flyaway aircraft, which was compared costs of 18 flyaway aircraft. Costs are fungible," the report said. The report further said, "The difference between the aligned price estimated by INT and audit could be attributed to inconsistent price variation factors adopted by INT, alignment of the quantities or scope of the two offers and the difficulties of alignment itself as stated earlier." With regard to India specific enhancements, the deal was 17.08 percent cheaper, said the CAG report, which was tabled in Parliament on Wednesday. The NDA deal was 2.86 percent cheaper than the one negotiated by the UPA government in 2007, according to the report.